"Though Hungarian law had already stigmatized Jews, their fate was officially sealed once the Nazis took control. During the months following the occupation, hundreds of new regulations made the lives of the Jews in Hungary impossible, ghettos were set up during the spring and autumn of 1944, followed by mass deportations to Nazi concentration camps. The active participation and even cooperation of Hungarian political, military, and police leaders in this dark time is undeniable; as is the reality of German pressure and occupation. It is difficult to know if large-scale deportations would have happened without German troops occupying Hungary, but it is certain that the lives of all Jews in Hungary were immediately and directly threatened once the occupation took place. Although the German presence was in reality an occupation, the appointment of the Hungarian Sztójay government made the arrangement constitutional in a formal sense. Hungary’s sovereignty after March 19, 1944 was radically reduced, and those who acted upon the remaining sovereignty that Hungary had – namely, the Sztójay government – served German and not Hungarian interests. The occupation, in addition to directly serving the political interests of the Nazis, also served German territorial expansionism. The occupation accomplished Nazi political control and German “Lebensraum” imperialism. After the German occupation, Berlin took over the management of the lives of German minorities in Hungary with the help of the loyal Volksbund and raw material exports to Germany (crops, oil, coal) drastically increased. The Sztójay-government agreed that Hungary would bear all the costs of the German occupation. Just like Hungary would bear all the costs of the Soviet occupation between 1945 and 1989." – Márton Békés, PhD. is a Budapest-based historian and political scientist. 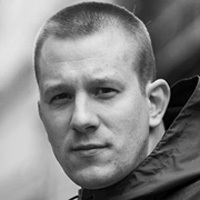 He is editor in chief of Jobbklikk blog and Kommentár Magazine, and managing editor of Ősök tere, a weekly history-themed television program. Békés Márton, Holocaust, Hungary, history, opinion, Germany, state, World War II, nazis, Márton Békés, German occupation.